Today I had the opportunity to visit a true treasure house. 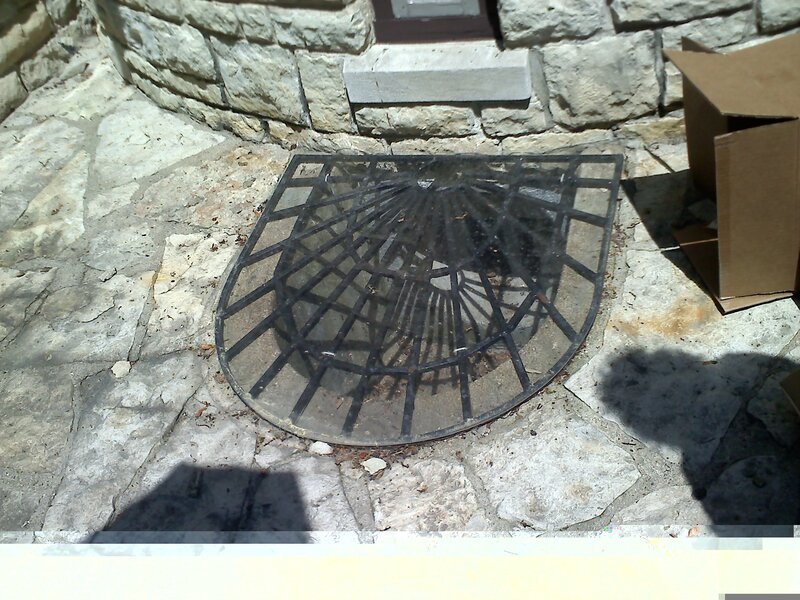 This one was designed in 1932 by Harold Zook, a Chicago architect responsible for numerous distinctive homes. Zook, whose vividly detailed homes were built from the 1920s through the 1940s, was considered the Frank Lloyd Wright of Hinsdale, Illinois. 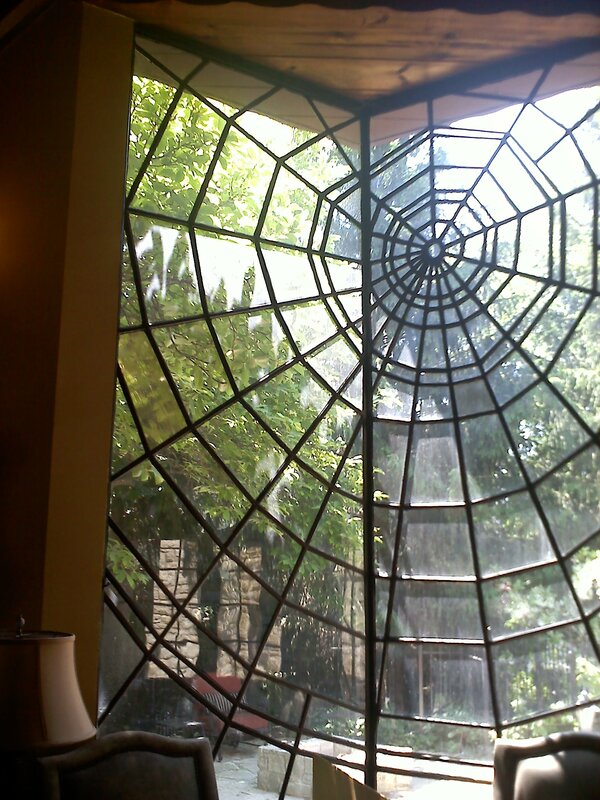 Zook’s homes featured a host of distinctive elements, including his trademark spiderweb motif. This enchanting home features the spiderweb not only in Zook’s original design, but in other details added by the current owners. 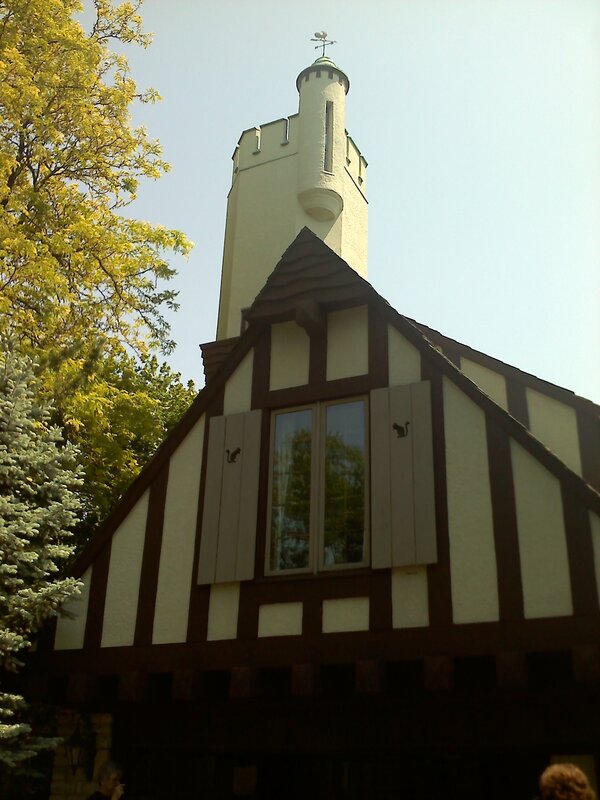 Kudos to these people for their painstaking upkeep and contextually perfect updates to this little castle. Let’s take a tour. As you walk up the driveway, you encounter a gateway guarded by a stone lion. 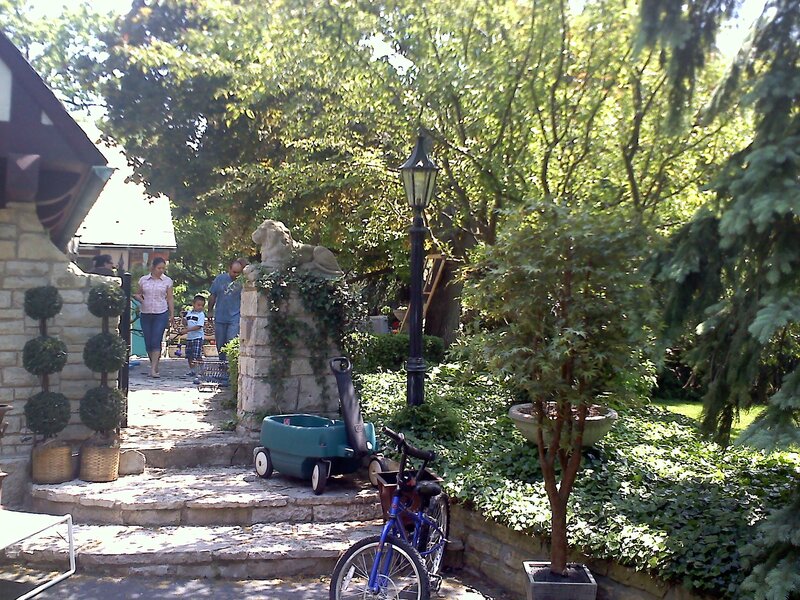 From the driveway, the entry gate. Moving along, we see some of the most charming details of the home. The window above the garage features shutters embellished with cut-out squirrels. There’s a fairy-princess tower in the background. 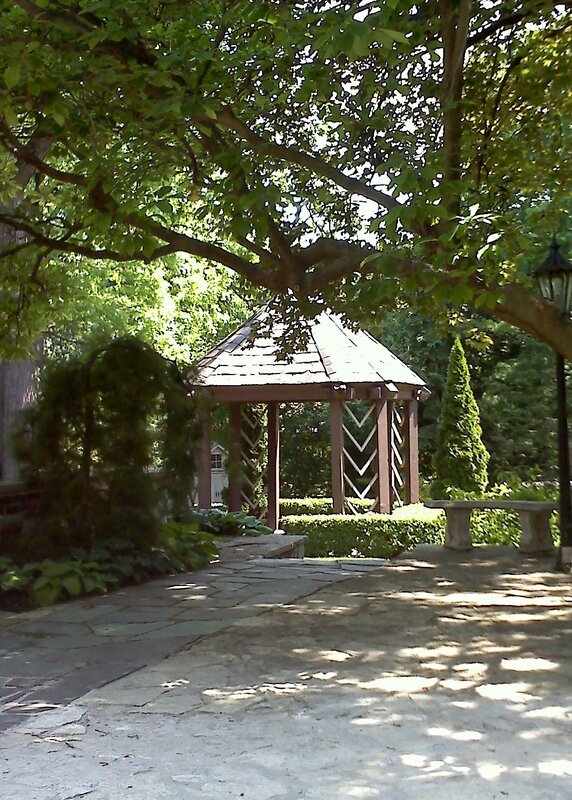 Before entering the home, we see a gazebo with a slate roof. Note the chevrons, another Zook hallmark, in the gazebo’s framework. 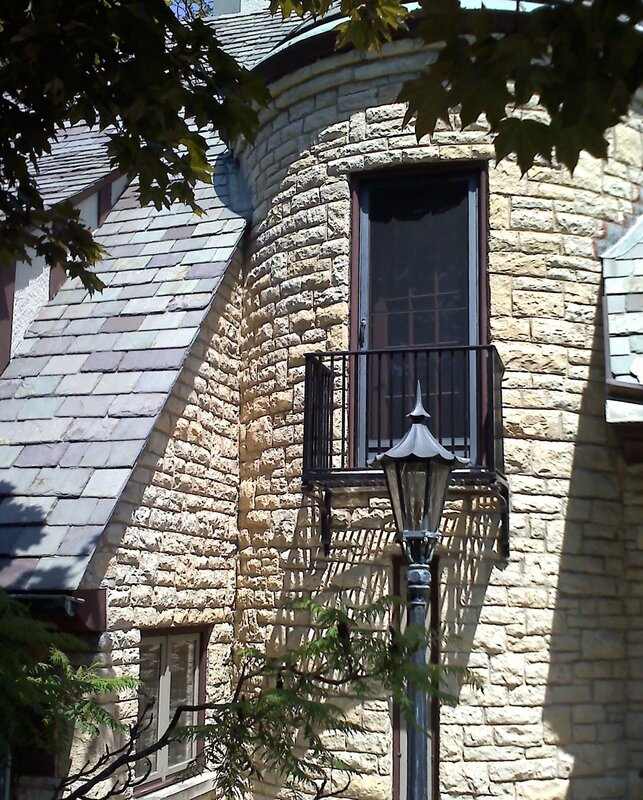 Part of the exterior, featuring a sweet Juliet balcony. Note the slate roof, stone tower and Juliet balcony. 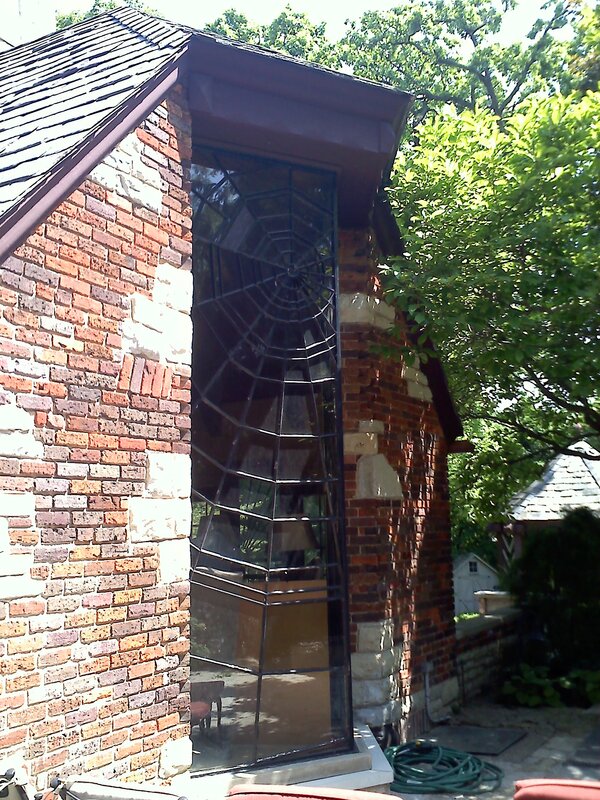 At the base of the stone tower, the owners combined functionality with whimsy with this spiderweb-motif window grate. Here is the window from an interior perspective. Upon entering the house, you are greeted by a spellbinding spiral staircase, which takes you from the basement to the top of the tower. 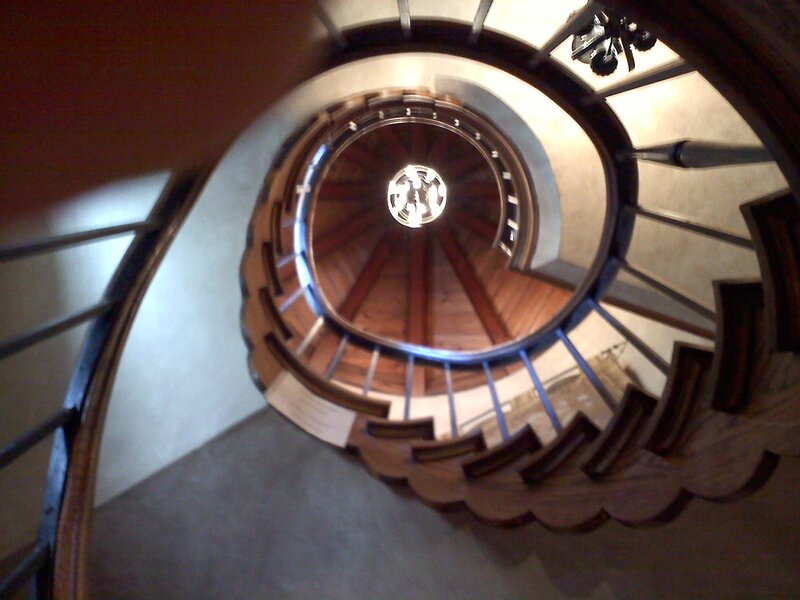 Here is a view of the staircase, and please excuse my clumsy finger. 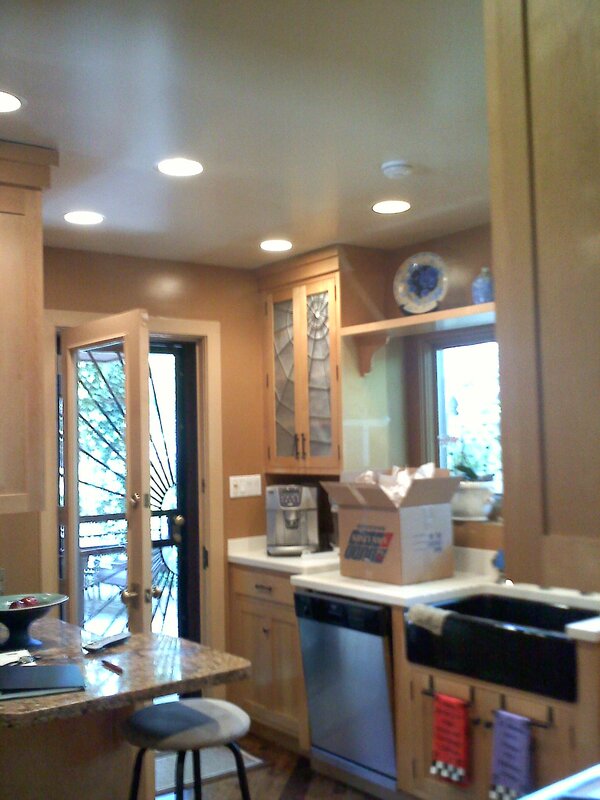 The kitchen has been updated, yet the spiderweb lives on, in one of the cabinet doors as well as the screen door. Talk about a cohesive look! For more information about this house, see this 1985 Chicago Tribune story.